Aquarist Dave Wedge recently grabbed some special video of a female Acadian hermit crab (Pagurus acadianus) hatching her eggs. You can see her remove her tail from her shell to fan the eggs so the larvae can disperse into the water column. Those larvae are tough to see, but look carefully and you can spot them sparkling at the surface of the water during the close-up! Female hermit crabs carry their eggs for a couple weeks before releasing the larvae into the water. You might be able to spot this kind of behavior at the Aquarium's Edge of Sea exhibit the next time you visit! 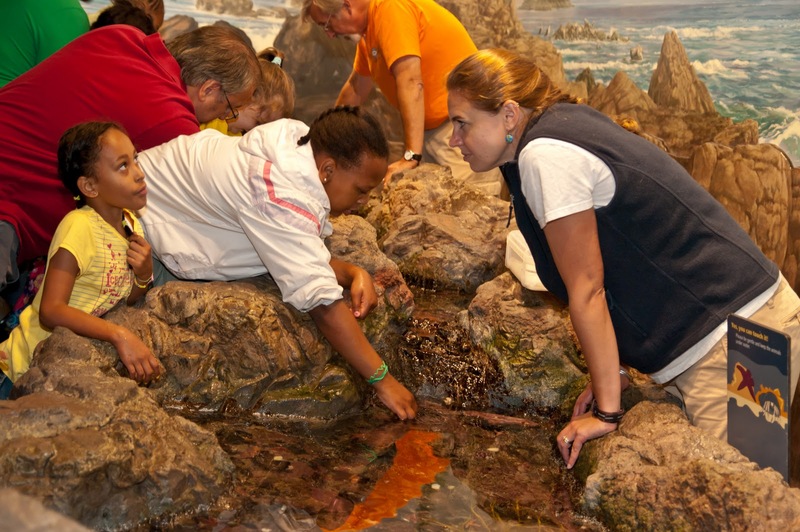 Just ask anyone with the Aquarium logo on their shirt to point out a hermit crab in this hands-on touch tank. Sea jellies 101: What is a sea jelly?